Karan Johar has been pivotal in shaping careers of various newbies in Bollywood. But we all know that they're mostly star kids. Karan has launched many star kids in the movies and his Midas touch has made them bigger stars. He's played a mentor, a guide and a godfather to them. "A flag bearer of nepotism," as Kangana Ranaut puts it, Karan Johar has said in an interview once that what he does is his business (and none of anyone's business!). "Chaahe mein apne fufe ke bete ko launch karun, ya chachi ke bhateeje ko launch karun, I can do what the f@#$ I want," he said. That's true, but we still can't ignore that he's making dreams come true (of a select few). So, let's check out who all have Karan Johar ka haath, apne saath! Mahesh Bhatt and Soni Razdan's beautiful and talented daughter Alia was launched by Karan in Student Of The Year and well, she's been his best find till date. Alia, in an interaction with a leading daily, said, "One person who I can talk to anything under the sun; be it personal, professional, philosophical and something that gives me a good and fun perspective is Karan Johar. Talking to him refreshes me to another level." Mentor Karan is always there for this young actress and she's grateful to him. Ace filmmaker David Dhawan's son Varun, too, marked his debut with Student Of The Year along with Alia and Sidharth Malhotra. Karan has been like a godfather to him and Varun till date owes his success to this awesome guru. In an interview with a leading daily, Varun revealed, "Karan Johar is someone who keeps me very grounded. Every month he gives me a piece of his mind and brings me back to reality." Karan has also produced many of his other hits including Humpty Sharma Ki Dulhania, Badrinath Ki Dulhania and now the duo is coming together for Kalank! Also, rumours are rife that Varun may be roped in to play the lead in a superhero film being made by Karan Johar. 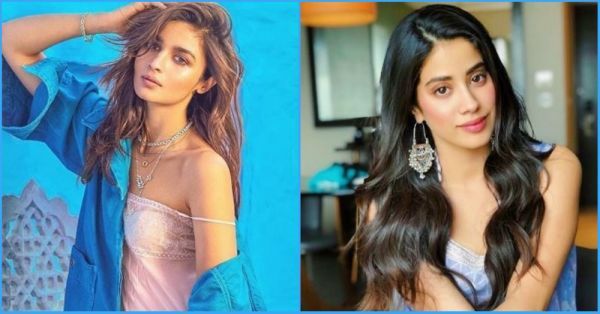 Sridevi's daughter and Arjun Kapoor's half-sister Janhvi just made her debut with Dhadak, produced by Dharma Productions. Karan has been friends with the family for years and the industry as a whole came together to wish this newbie all the best. Looks like she has the support of also his kids, who were photographed with her recently. Ishaan, Shahid Kapoor's half-brother, also made his debut with Dhadak opposite Janhvi. In an interaction with a popular website, Ishaan said, "Karan's an incredible mentor with years of experience. The magnitude of the work he’s done and his understanding of cinema is amazing. He’s generous and gracious, contributes a lot and gives you his exclusive attention. He also has a great sense of humour." Yep, that's what they all say about Godfather KJo! He wasn't launched by KJo, but the filmmaker is said to be mentoring him, too, now. Tiger will be seen playing the lead in Student Of The Year 2. Tiger Shroff on being asked about if he's excited about SOTY 2, said, "It is an honour to work with Karan sir. I loved the first part. That’s the space I now want to explore. I’m grateful that Karan [Johar] sir thinks I am worthy of taking the franchise forward." Saif Ali Khan and ex-wife Amrita Singh's daughter Sara is going to make her debut with Abhishek Kapoor's Kedarnath with Sushant Sigh Rajput. Even before her first move in Bollywood releases, the starlet has another film in her kitty. Karan has roped in Sara for Simmba opposite Ranveer Singh. Daddy Saif Ali Khan in an interview with a popular website said, "I am very happy she is working with Karan Johar because I think he is brilliant with newcomers and he will launch her correctly. He is a very intelligent and a passionate filmmaker and he understands films. I am very pleased that she is with him." Chunky Panday's gorgeous daughter will mark her debut with Student Of The Year 2. The producer is pretty excited with the sequel of his hit and has been promoting it on all social media platforms already. He also introduced the star cast for this film on Instagram and Twitter! 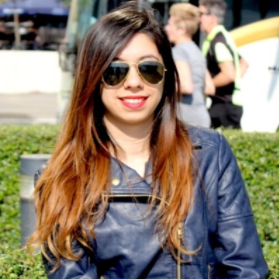 If gossipmongers are anything to go by, Karan Johar will launch best friend Shah Rukh Khan's daughter Suhana Khan. She was spotted coming out of KJo's office and that is what served as fodder to the gossip mills. Given Karan's camaraderie with SRK and his love for launching star kids in Bollywood, there's no doubt he'll be Suhana's mentor too. Is SRK's son Aryan next?